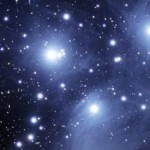 Greetings dear friends, we are the Pleiadian Collective. 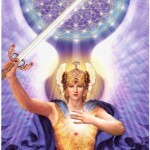 I am Mira of the Pleiadian Council sending you my love light and greeting as well. Many changes are afoot dear friends and you are those changes. As you walk about dear Gaia you are literally spreading the light of the Christed awakened consciousness over her and into her and around her to those you meet. Open up your high heart yet further and allow in these ever expanding frequencies of Christed light into your frame. I am Mira. I have another meeting to attend to but please know that you are held in high esteem by all who wish to aid in Gaia’s ascension. We hold you in our light and love. I am Mira. We are the Pleiadian Council and we just finished another meeting and it is with great joy that we see you all shining a little bit more brilliantly moment by moment. Be at peace, ground the light. Know that all is proceeding quite well and we love you very much. Go enjoy your day as an ascended master, being, for that is who you are. Spread the light with joy and love. We honor you this day and for always. We are the Pleiadian Council. Thank you for your service to Gaia and the light.